"We Improve People's Lives" - Interim HealthCare Hospice provides an individualized program of physical, emotional, spiritual, and practical care for people in the last phases of a life-limiting illness, with an emphasis on control of pain and other symptoms. The program is reflective of a spirit and idea of caring that emphasizes comfort and dignity for the dying, making it possible for them to remain independent for as long as possible, and in familiar surroundings. Utilizing an interdisciplinary group approach of physicians, nurses, social workers, homemakers, hospice aides, volunteers, spiritual counselors, bereavement counselors, and others, Interim HealthCare provides palliative care in the home, nursing facility, assisted living community and short-term inpatient services, mobilization and coordination of ancillary services, and bereavement support. 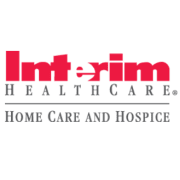 Interim HealthCare, founded in 1966, is the leading homecare, hospice and medical staffing company. Interim’s more than 300 independently owned and operated franchise locations provide a variety of home health, senior care, hospice, palliative care, pediatric care and healthcare staffing services. Franchisees employ nurses, therapists, aides, companions and other healthcare professionals who provide 25 million hours of home care service to 190,000 people each year. Would you recommend Interim HealthCare of West Michigan?